Our House representatives are scheduled to be in the District of Columbus doing the “People’s Work” on 110 days next year. 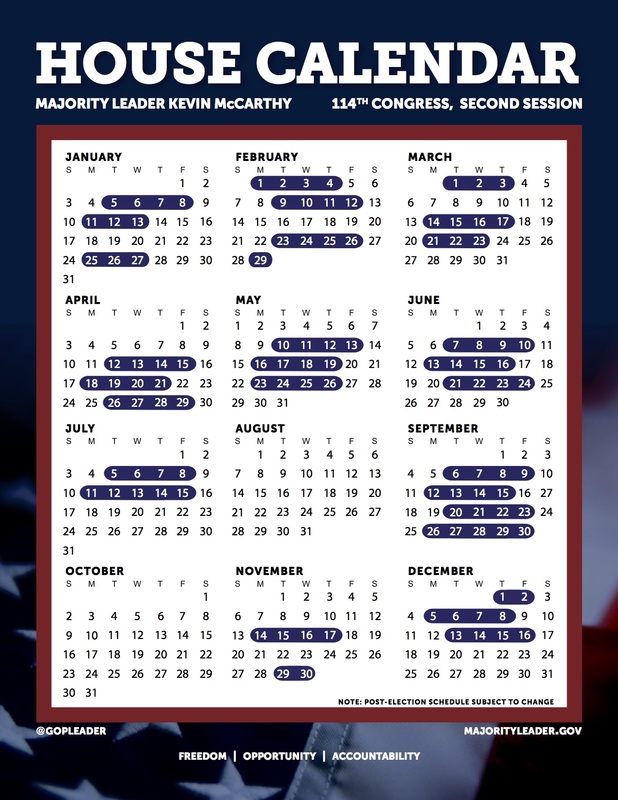 The Washington Examiner states, “House sets shorter 2016 calendar to prep for election“. Occupy Democrats claims they are taking 255 days off and reminds us that they have “voted down every single family leave bill ever.” (See full statement at the Snopes site linked below). It is not surprising that they feel that they need to be in the district the 99 days out of the 117 days directly before the November 8 election. No wonder Congress isn’t working. This entry was posted in 2016, Congress, Constituents, Ethics, Political, Reed's Views and tagged Congressional Calendar, Working in district. Bookmark the permalink. Is Tom Reed working or campaigning when he has his picture taken here and there in NY-23 or when he makes fundraising calls? He might be working at self-interest but hardly for the public interest. Members of Congress who commute to the Capitol, even sleeping in their offices, have little chance to socialize with other members; This may contribute to partisan gridlock.